Travelling solo has its highs and lows. The freedom to see and do what you want at your own pace, the ease of catching a ride when you're alone, and the constant impetus to be resourceful and make decisions for yourself are all true character building experiences. Unfortunately, one or two nights of dining alone in unfriendly hostals can also take its toll on your mind and mood. Sometimes, staying positive (even when you're stuck on the road side for 11 hours) is difficult, and small things that might otherwise sound absurd can make a big difference. Over the last couple of weeks I have been setting myself small daily challenges, such as getting to where I want to go next, to keep myself on top of things and positive with my travels. 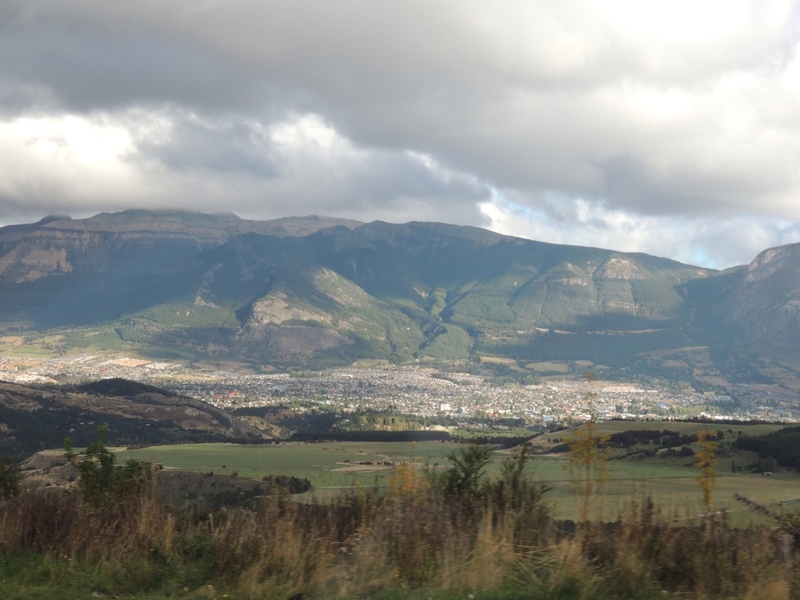 Overlooking Coyhaique from the Carretera Austral. After a rather unfriendly one night stay at Hostal Daniela in Coyhaique, where I was unwittingly charged extra for a shower and left feeling totally ripped off, I walked out of the largest town on the southern part of the Carretera Austral and considered my mission for the day: to reach Puerto Rio Tranquilo by nightfall. 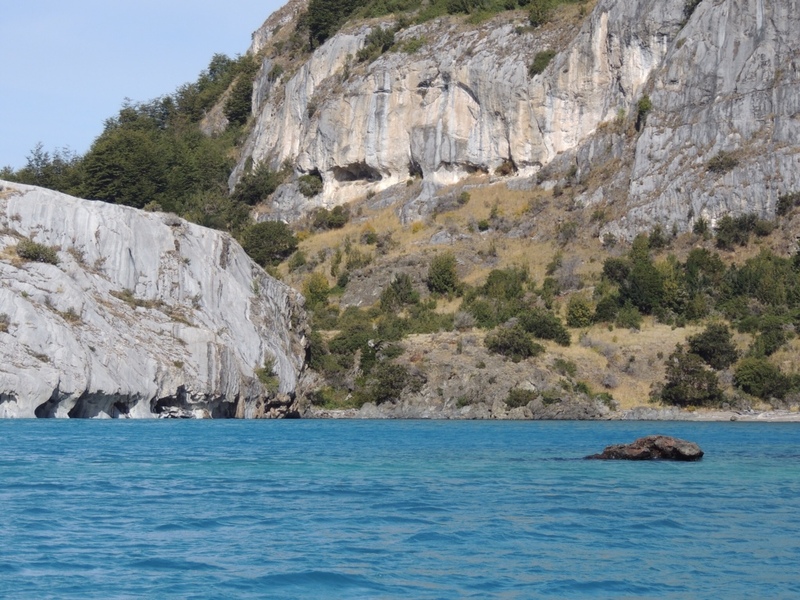 The route south of Coyhaique continues to bear stunning scenery and eventually loops east around Lago General Carrera, the second largest lake in South America, albeit shared with neighboring Argentina. As the numerous rides I have hitched blend in to one, certain people seem to stand out. 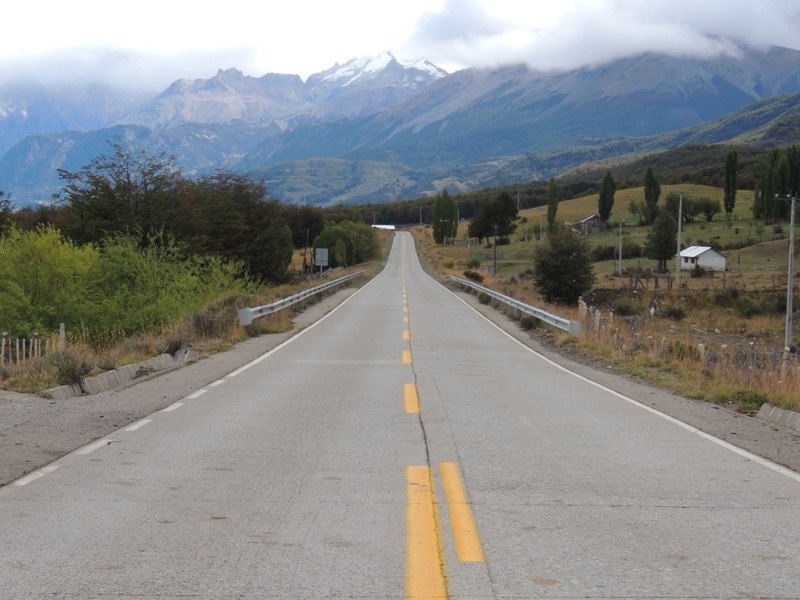 I shared a ride with a man named Miguel from Santiago and we discussed gay marriage in Chile. He had an amusing story about how he had broken up with his girlfriend 7 years ago, only to start seeing one of her friends – who happened to be another man! An hour or so later I caught a ride with a man whose name I forget, but he seemed insistent on picking up every hitchhiker he saw as we headed south. 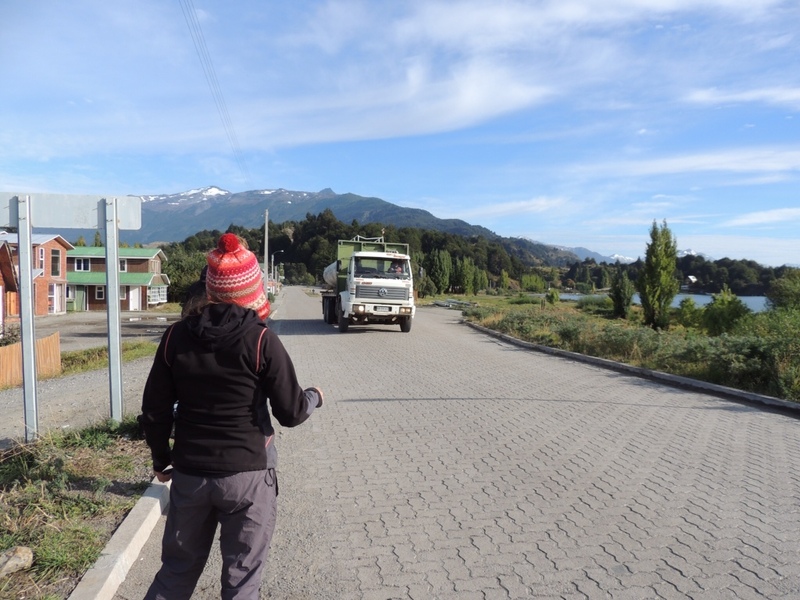 A few hours later after waving goodbye to another friendly truck driver, I strolled into Santa Julia and bumped into two travellers, Olivier (from Belgium) and Deborah (Chile). Thankfully, both spoke perfect English as they explained that they were also headed to Rio Tranquilo but had been waiting over four hours for a ride! As they were explaining their trouble, we waved down a woman travelling with her daughter and she explained that she only had room for one person. After just three minutes, and feeling slightly guilty, I was on my way to my destination for the day. The next 190km took over three hours. As the road seriously deteriorated, the scenery became increasingly beautiful as we climbed steep mountainsides looking down to the lake below. 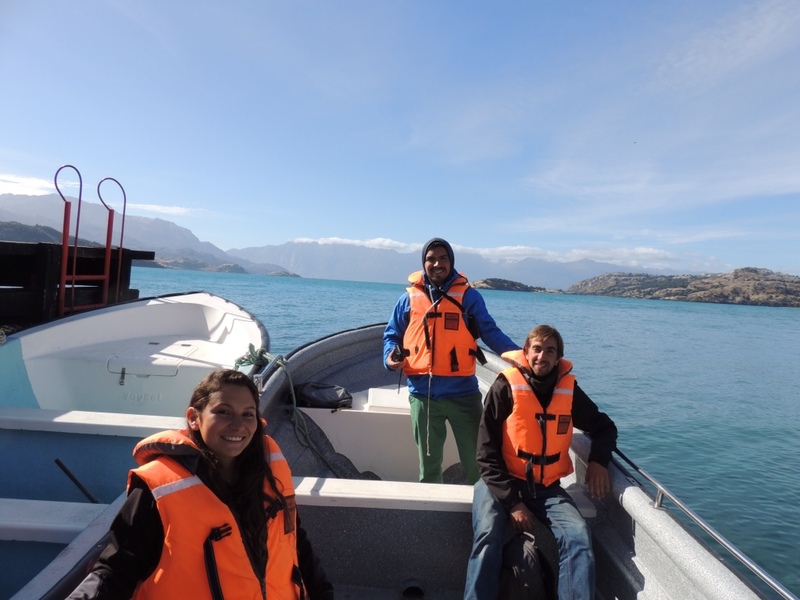 Rainbows stretched the width of the lake, the low mist making perfect conditions to filter the Patagonian sun. The girl and I compared Spanish and Australian hip-hop music using our iPods – I think Illy has a new Chilean fan. Two hours into the ride, a pickup truck packed with sheep screamed past us honking its horn and Olivier and Deborah smiled and waved from the back seat. They had caught a ride and were back in front! 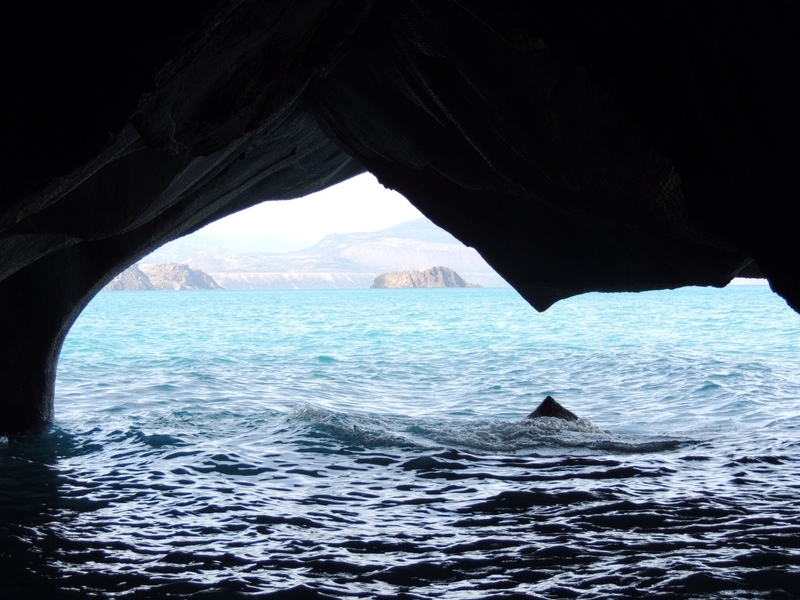 Looking out to the lake from one of the many caves. Upon arrival in Rio Tranquilo I thanked my driver and walked over to the small cafe on the main street, where I found my two new amigos plus one more, a Chileno guy called Daniel. We settled on a hostal together, cooked dinner and drank wine as our hosts cheered madly for the Chilean football team World Cup Qualification match. 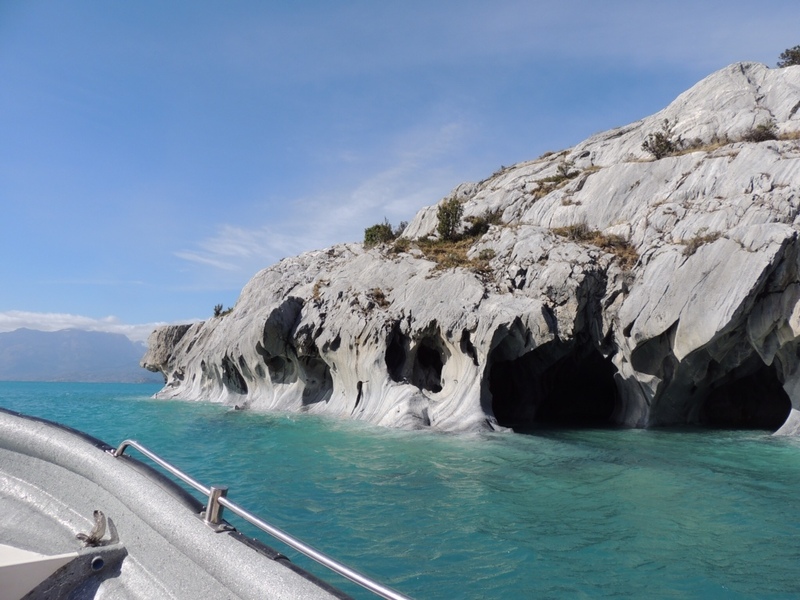 We planned to visit the famous Las Cavernas de Marmol the next day which are touted as some of Patagonia's most incredible attractions. 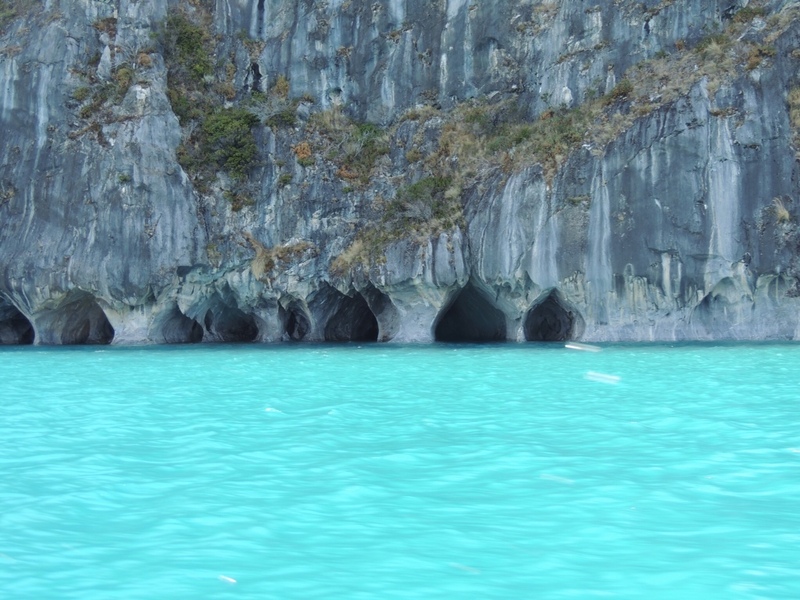 The crystal clear azul waters of Lago General Carrera have sculpted the marble caves over millions of years, creating an impressive array of caverns and patterns on the limestone peninsula. After a slow breakfast, we finally set out on the lake at 11 o'clock the next morning. 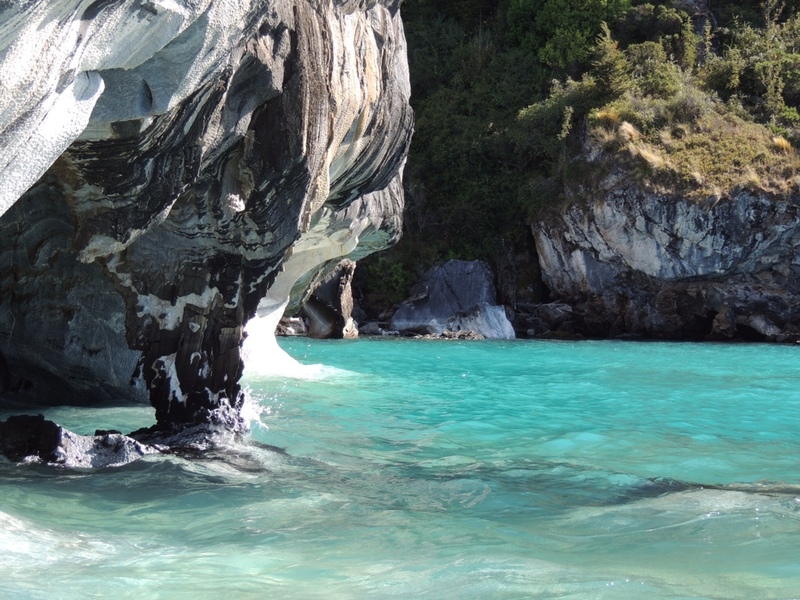 The camera didn't do the colour of the water justice as the clear sky meant the sun illuminated up the water a bright, crystalline blue. 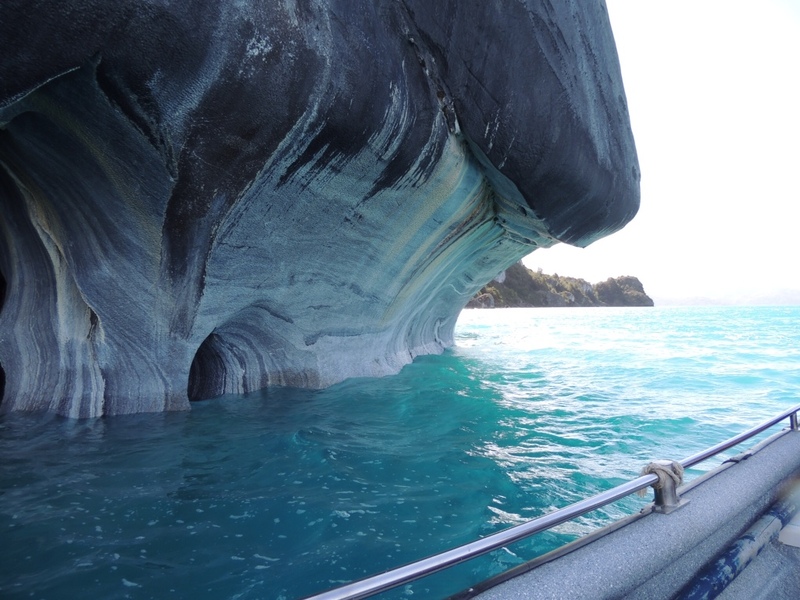 Our tour guide took us into the caves and around the 'Chapels', so called for their shape, and Deborah was even brave enough to swim through one in the cold water! 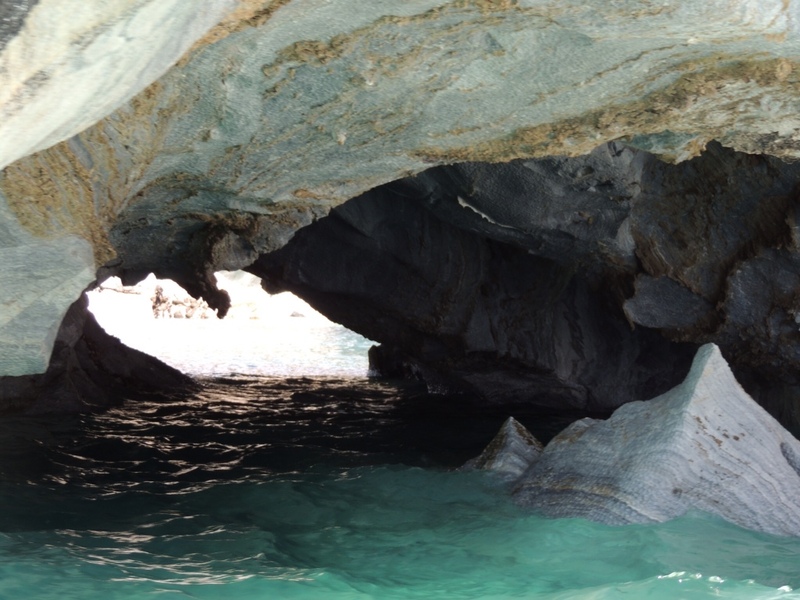 I took some footage of the lake trip and caves but unfortunately I have to wait for a better Internet connection before I can upload it to the website. 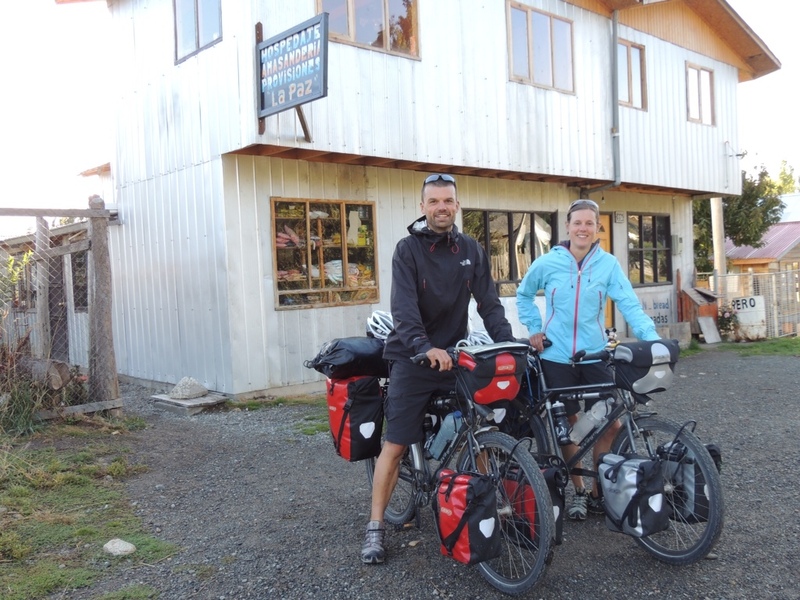 We stayed another night in Rio Tranquilo, meeting a Dutch couple (Werner and Linda) who were riding their bicycles the length of the Carretera Austral. We shared a meal and a few stories from the road with them before all parting ways the next day. Werner and Linda outside the hostal with their heavily laden bikes. 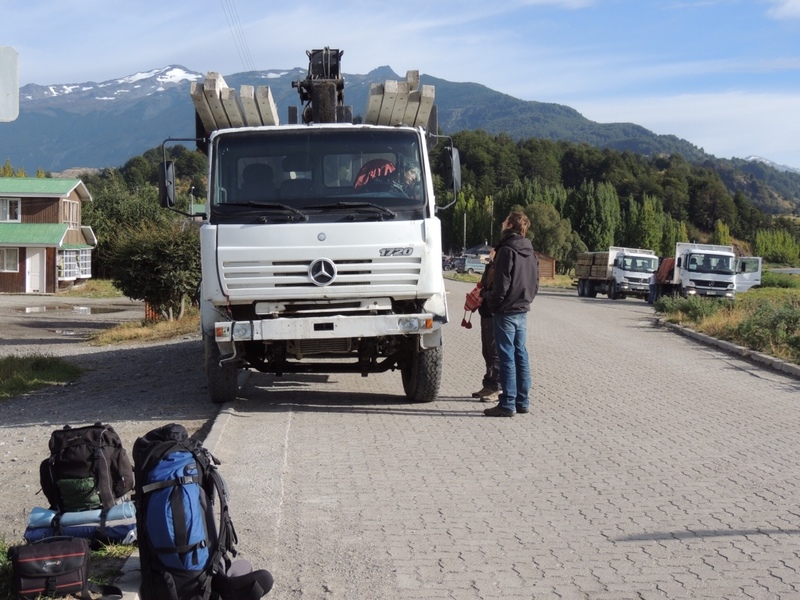 I've since walked into Argentina from Chile Chico and I am considering the possibility of taking an expensive bus south to El Chalten tomorrow after an unsuccessful few hours trying to hitch south from here. 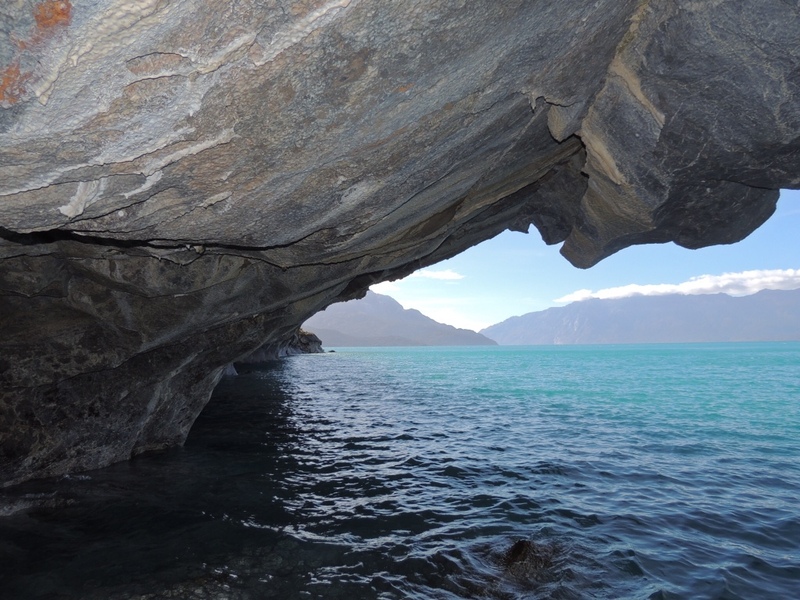 My plans are to trek around the jagged peaks of Cerro Fitzroy before making my way to El Calafate and the Perito Moreno Glacier, which is one of the world's few remaining moving glaciers and inhabits an area larger than that of Buenos Aires! 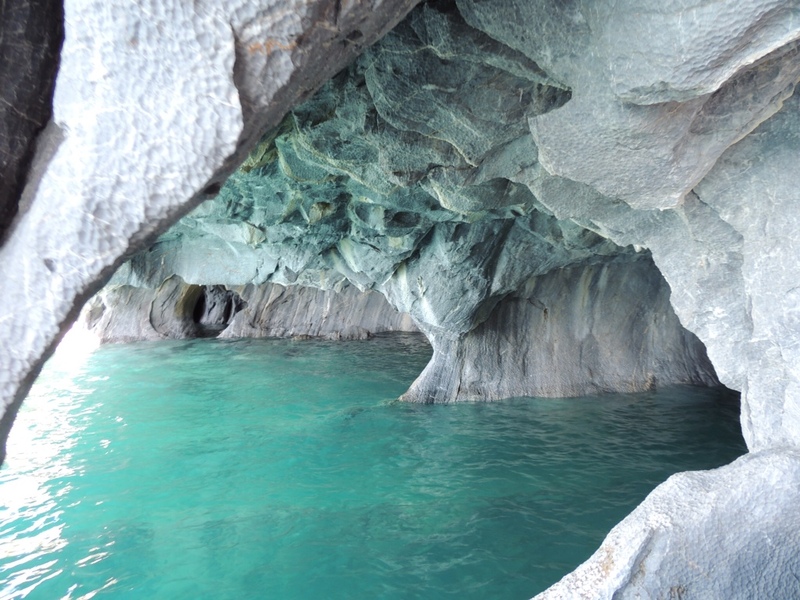 My friends Jen and Ted have written about their amazing experiences on the glacier here. 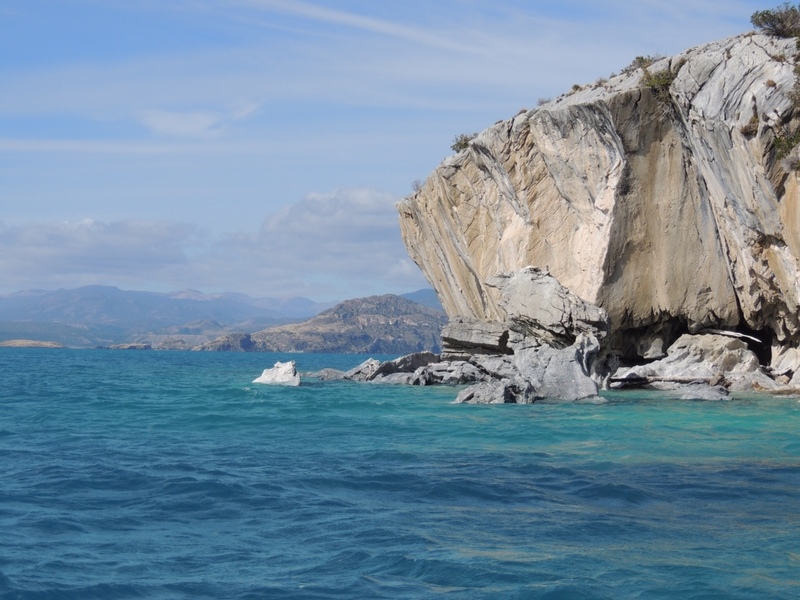 Until then, Nos Vemos and enjoy the photos! Don't forget to check back on the front page or follow the Facebook page for the video footage from the lake, coming soon! ← Changing Fortunes: Villa Santa Lucia to Coyhaique. Gorgeos photos. I live in Chile and as a result don’t travel so you are my window to the country. Love reading about all your adventures Teddy, Photos are amazing. Look after yourself, stay safe. Thanks again for your lovely comments! The rides always come, but sometimes just a little slower than others. You´re not wrong about the friendships either. I hope you had a relaxing break over the holidays. Take care!